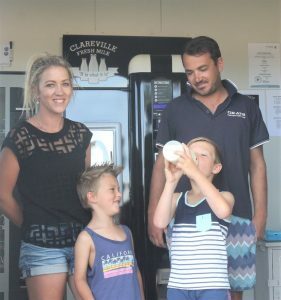 Raw milk on tap is proving to be a hit, with a large crowd turning up to try the cream-topped product at Clareville Fresh Milk. 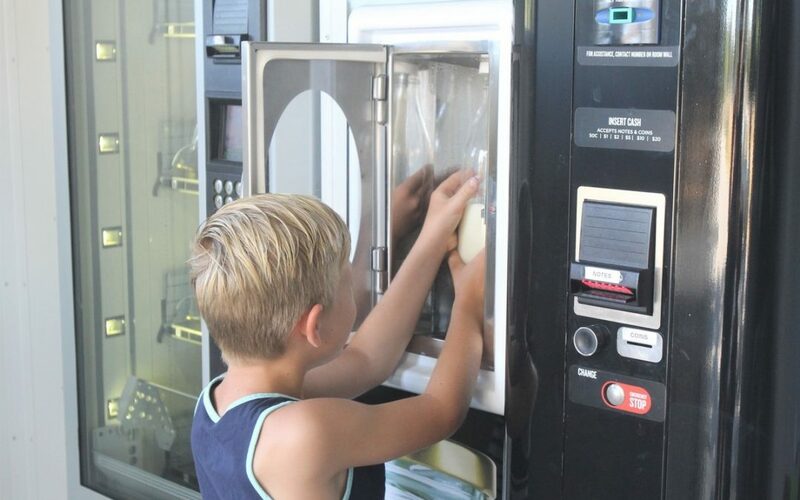 A fourth-generation family farm has added the product to its line-up and is serving it to costumers from a vending machine. 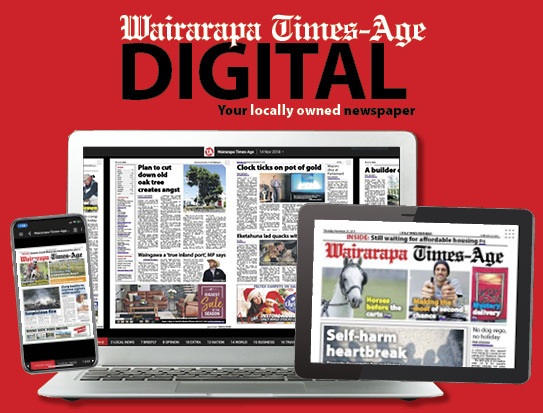 It is the first registered and certified raw milk suppliers in Wairarapa. It officially opened for business yesterday. Clareville Fresh Milk owners David and Renee Smith wanted to offer consumers something different. They believe the associated health benefits of raw milk are too good to miss. “My cousin is lactose intolerant, but he is drinking a litre a day now,” Mr Smith said. He does not claim it will work for everyone, but thinks it is worth a try. A part of the passion behind the operation is giving people an alternative to plastic bottles. It is $8 for a bottle and a litre of milk, but customers can bring back the bottles and top up for just $3. They can also bring their own containers. The $5 bottles are there to make it easier for people, in case they did not have anything on hand, said Mr Smith. “The bottles should last a long time,” Mrs Smith added. Customers can also load money onto their very own vending machine key if they choose. A lot of work has gone on behind the scenes to bring old-fashioned cream-topped milk to the roadside stall in a safe way. “It’s taken a year and a half to get to this point,” Mr Smith said. “MPI have been changing rules to make it safe for everyone. “People selling raw milk have to be certified and registered. “At the end of the day it’s all about making it safe. Mr Smith had selected 34 cows to be used solely for providing raw milk in the future. Currently nine cows are milked every day at 1pm for the vending machine. “I haven’t stopped milking cows for the last 21 days, it’s fine. I’m enjoying it,” Mr Smith said. Moving forward the couple are looking at introducing staffed hours, to help people navigate the system. “We are confident we will do that if there is more interest,” Mr Smith said. are you still operating? I had heard MPI had closed you down. I’m coming for some Tuesday! 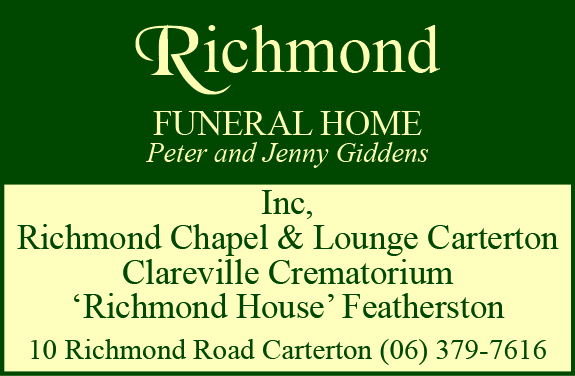 Well done David and Renee. One taste and I was back to my childhood on the family farm. All the very best . We drank raw milk for 5 years. I had 2 young children and they say it is sweeter than pasteurised milk. Love Raw Milk. Oh hooray! Good on you NZ! I just wish the laws would get changed here in Australia, & we could buy in from roadside vending machines. I have been there from the start. Renee and David are very helpful. As for the milk it’s delicious. Good luck.